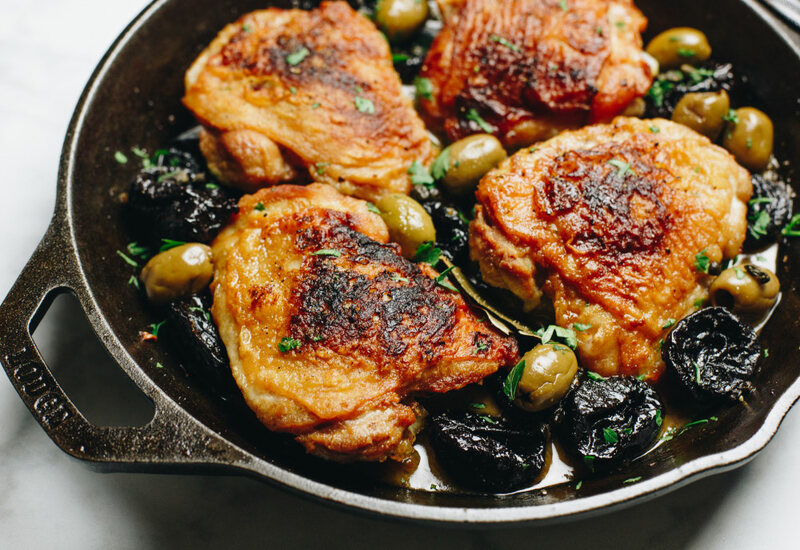 Chicken Marbella has been a kitchen staple for almost 40 years (and a Passover Seder favorite) -- now you too can add it to your list of favorites. This 1-skillet dish is packed with flavor. Prunes, olives, and capers combine with the seared chicken to make a dish that can't be beat. Don't forego the brown sugar -- it creates a nice caramelized crust atop the thighs and brings extra flavor to complement the briny olives and capers. Per Serving: 362 calories; 26g fat; 23.3g carbohydrates; 9g protein; 42mg cholesterol; 788mg sodium. I used Spanish olives and added some lemon juice to this recipe, it was perfection! The saltiness of the capers are to die for. I marinated the chicken overnight, so the next day it was really quick and easy to cook.